The Together We Go effort is a continuation of Transportation Matters. The Statewide Transportation Plan is an on-going conversation that explores what we’ve accomplished so far to make sure we are all moving in the right direction – together! The Colorado Department of Transportation hosted this Access Live event to discuss local transportation matters in Northwest Colorado. Topics discussed on the call include the budget for construction repairs that will be going on in the future, budgets for maintaining roads, heavy trucking traffic as well as road upkeep. Colorado Department of Transportation hosted this Access Live event featuring CDOT Commissioners Kathy Connell, Ed Peterson and Karen Stuart as well as Paul Jesaitis, CDOT Director of Transportation, to discuss important transportation issues with Denver Metro area residents. Topics discussed on the call include safer bicycle paths, light rail, wildlife bridges, mass transit to ski resorts, and bypass repairs. 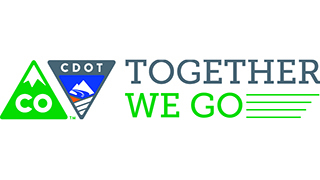 CDOT is hosting an access live event for residents of of Baca, Bent, Crowley, Custer, El Paso, Fremont, Huerfano, Kiowa, Las Animas, Otero, Park, Prowers, Pueblo and Teller counties. This call will include a discussion of transportation matters in Southeast Colorado and provide a forum for people to ask questions. Adams, Boulder and Broomfield counties.